The TinkerKit DMX MOSFET Receiver from Arduino connects to the DMX Master Shield to add MOSFET capability to your Arduino designs. 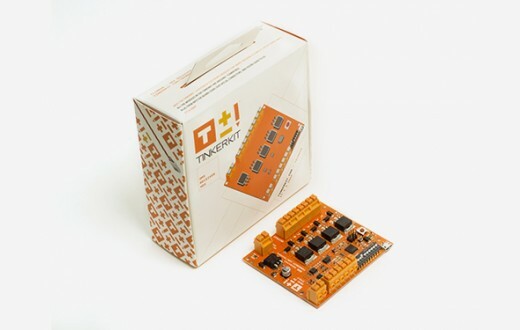 The receiver can also act as a standalone USB board, with an on-board micro USB connector and ATmega32u4 microcontroller. The DMX receiver has space for four MOSFETs, with each MOSFET being controlled directly from the master shield. Each MOSFET can support up to 24 VDC.